I have a sweet tooth and I will readily admit that fudge is one of my favorite indulgences. This rich, smooth recipe is the best of both world between a brownie and fudge with the taste of brownie batter and the texture of fudge. Add in your favorite mix-in, like crushed peppermint candy canes, for a simple holiday treat everyone will love. Optional: Mix-ins like crushed candy canes, nuts, or cranberries. Combine sugar and cocoa in a cool pot. Whisk in milk until just blended. Turn on the stove to a medium-low heat. Bring your mixture to a boil, stirring occasionally. Butter an 8×8 baking dish. Use a candy thermometer to check when your fudge is ready. It should reach 235°F or soft ball stage. When done, remove fudge from heat. Mix in butter and vanilla. If you plan to use any extra mix-ins, add them now. I like to add crushed candy canes as it makes for a really festive holiday fudge. Place your pot in a sink of cool water, making sure to not get any water inside the pot. This will quickly cool down your mixture. Continue to stir the fudge until it has cooled significantly, but is still pour-able. Pour your fudge mixture into your baking dish and allow the mixture to cool completely. Cut and serve. When you are preparing your fudge from scratch, it’s important to use quality ingredient that will make your fudge really impress. You can start your recipe right by choosing milk sourced by a local dairy! Dairy Pure milk delivers milk backed by a 5 point purity promise that is sourced by local dairy’s and stocked nationwide supporting each area’s local dairy suppliers. Dairy Pure is the only milk brand with a purity promise that ensures you get the quality you are seeking. Take the time to Learn more about DairyPure! *No significant difference has been shown between milk derived from cows treated with the artificial growth hormone rbST and non‐rbST‐treated cows. 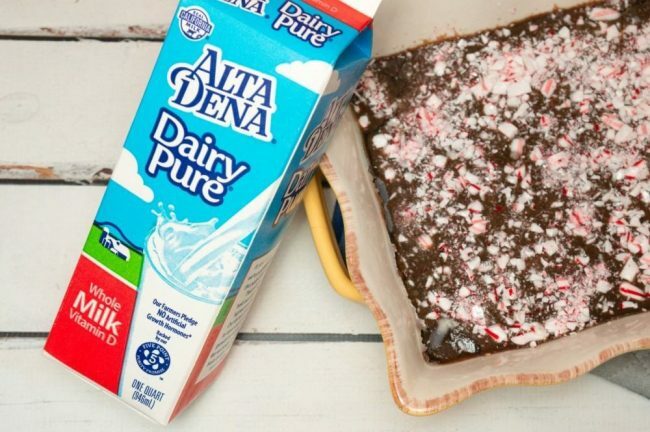 You can find great holiday recipes by following DairyPure on Facebook or find DairyPure Recipe inspiration on Pinterest! Yum – this fudge looks so festive and delicious! Thanks so much for sharing your yummy recipe on the Monday Funday Party! OHHHH. This is perfection. I am going to make this, you got me! My mother in law makes the best fudge! This looks similar to her recipe! Yum! 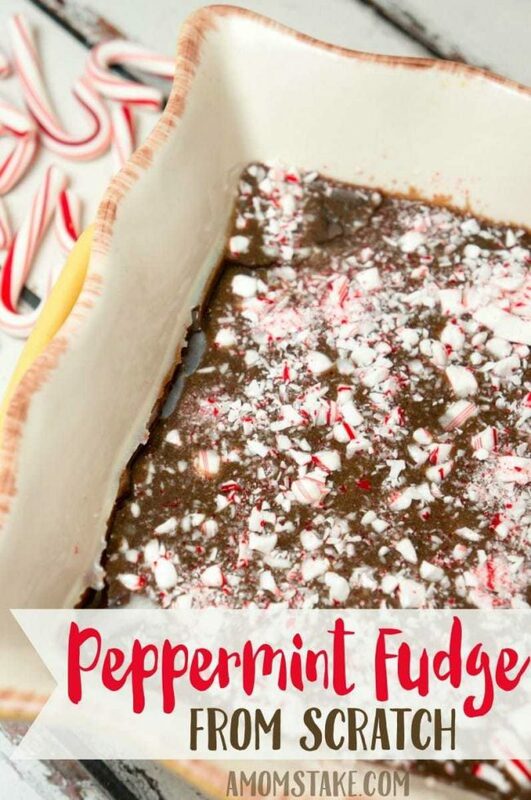 The peppermint fudge looks so yummy! My kids will gobble this up fast. This sounds like amazing fudge! 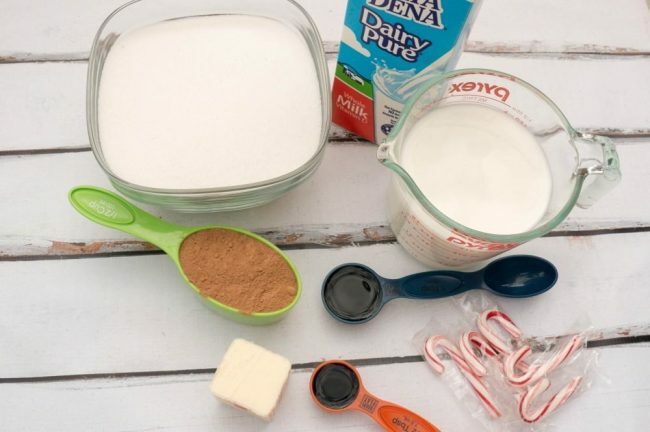 I love the idea of adding the peppermint to it for a holiday twist. Now this sounds amazing. I’d love to make some of my own holiday fudge this year. It sounds especially good with the peppermint! I love making fudge. This recipe looks so delicious and easy to make. I will have to get the kids to help me make this on the weekend. I love fudge, it’s one of my favorite confectionery treats! This fudge looks so good! I’d probably grind the candy canes a bit more as I find the candy pieces to be a bit to hard. I love fudge! I’ve never made peppermint fudge before. This looks delicious. I’ll have to put this on the list of goodies to make with my girls. Yum. I haven’t had fudge in SO long. 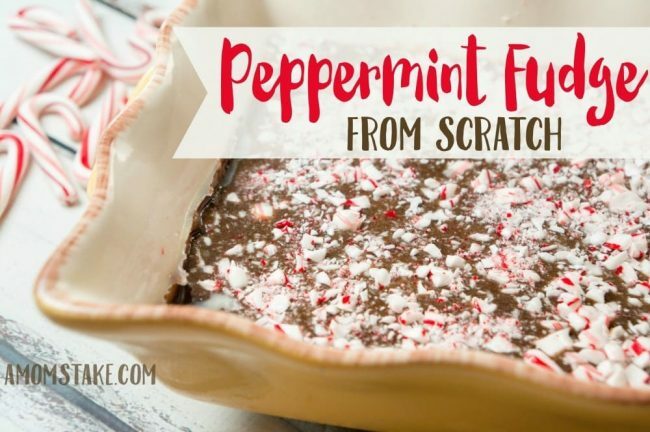 This looks so delicious and I love adding the peppermint! I love fudge! I bet the peppermint – chocolate combo is to die for!!! Totally making this over Christmas break. I have always been a little intimidated when it comes to making fudge, but this looks a lot easier than I thought. This fudge looks delicious. I love this time of year for all the peppermint recipes. That sounds so yummy. Peppermint and chocolate is always a great combination. I can’t wait to make this. I love to make fudge around this time of year. I love this variation with the candy canes. Yum! I’ve been searching for a new recipe to make for our families and this looks perfect to try! Fudge is so easy to make and that is why it’s one of my favorites! I love it. Oh this looks so good and easy for the holidays! I have to try it! Looks like a great dessert for the holidays … might have to make it!